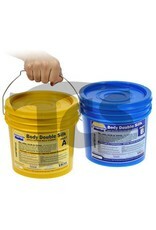 Body Double SILK is a self-releasing platinum-cure silicone rubber that can be applied directly to the skin to make molds of the face, hands and other body parts. The rubber cures quickly and will reproduce excellent detail from any original model. 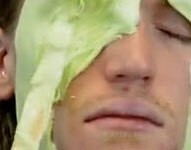 Body Double SILK will release from hair-covered skin surfaces (closely cropped beards, moustaches, eye-brows, pubic hair, etc.). Release cream or Hyperfolic are not needed when using Body Double SILK. 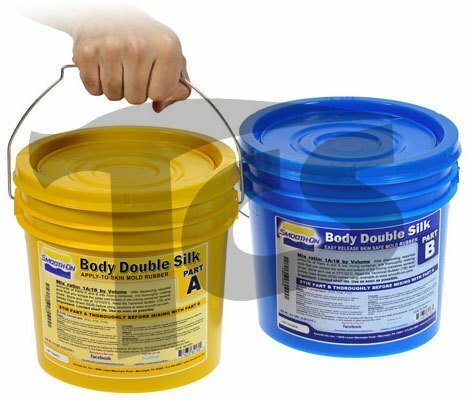 Body Double SILK will last for many castings of almost any material including plaster, wax and resins. Body Double SILK has a working time of 6 minutes and a demold time of 20 minutes (depending on material temperature, ambient temperature and body temperature see the technical bulletin for details).